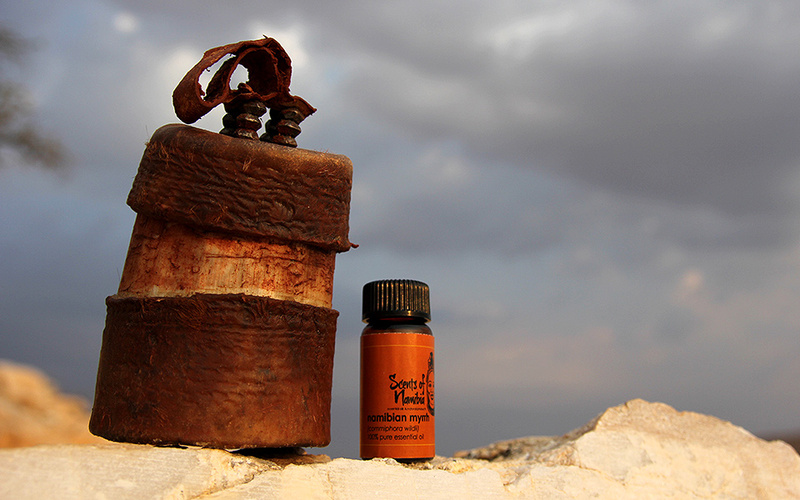 The production of essential oils is a multifaceted and complex process. Each stage of the process requires considerable attention to detail in order to produce an essential oil product with a consistent chemical profile. 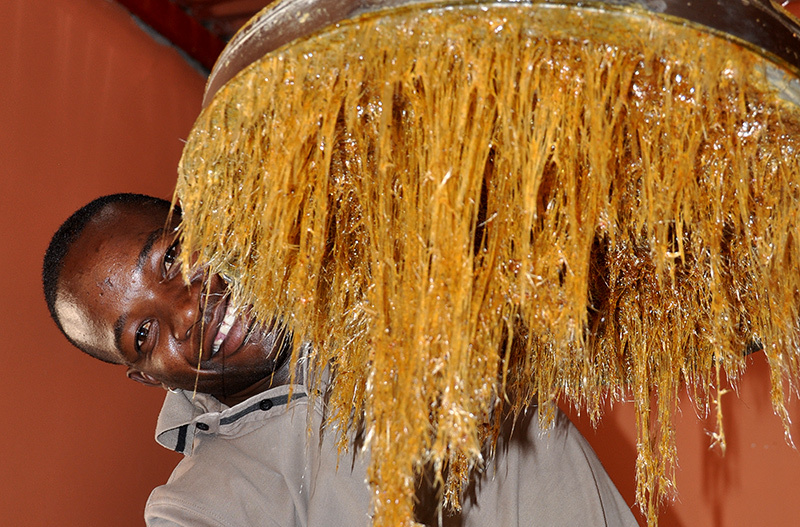 Plant material collected and supplied by harvesters in the remote areas of the Kunene region are transported to the Opuwo Processing Facility where they are appropriately stored and later processed into essential oils. 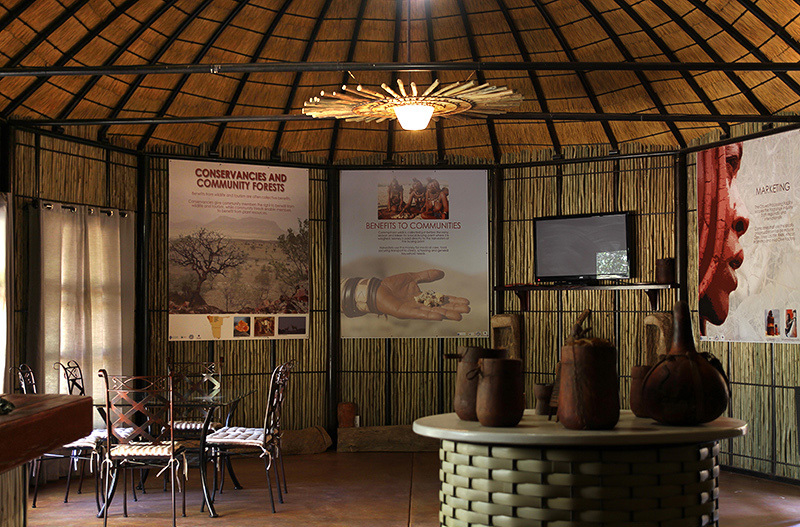 Designed in a traditional Himba homestead style building, the Visitor’s Centre offers daily tours which describe and demonstrate the production of essential oils at the Opuwo Processing Facility.